From The IBTimes: “Efforts to begin rebuilding the Gaza Strip could start soon, two weeks after Palestinian and Israeli leaders agreed to an open-ended cease-fire. Palestinian President Mahmoud Abbas announced Thursday that he reached a deal with Israel and the United Nations that would allow necessary construction materials to enter the strip. In a televised statement, Abbas said a former Palestinian minister and a U.N. official “signed an agreement which allows the entry of all materials to Gaza and the exporting of what’s possible to export from Gaza abroad, which will alleviate the living burdens on the people.” Hamas was reportedly not involved in the deal. Abbas did not give a timeline for reconstruction, nor did he specify what materials would be allowed into the strip or when they would arrive. A U.N. official confirmed his announcement to the New York Times and said it would be finalized on Friday. Hamas’s absence from the deal could signal tension between the two Palestinian factions. Just hours before Abbas’ announcement, a senior Hamas official said the group was considering negotiating with Israel. “Up to now, our policy has been not to negotiate directly with Israel, but … we’re not talking about something that is forbidden according to sharia law,” said Moussa Abu Marzouk in an interview with Al Quds TV. Thus far, Hamas has refused to recognize Israel as a legitimate negotiating partner, and vice versa. However, Hamas could be inclined to change its mind in order to appease the Palestinian Authority, which is currently governing the West Bank. 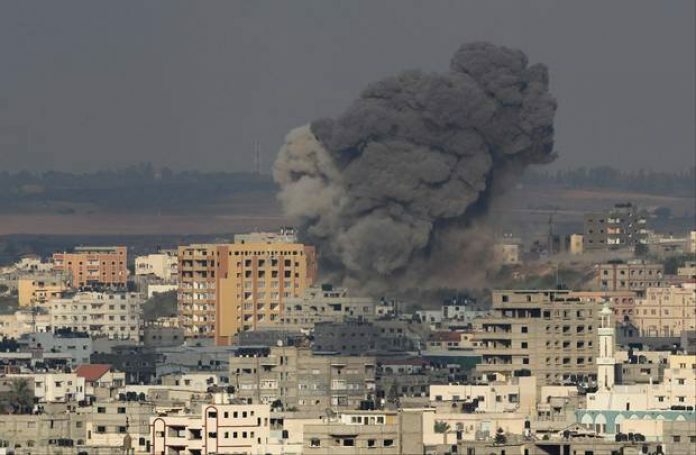 “Hamas finds itself compelled to make this move when the natural rights of the people in Gaza come under pressure from the Palestinian Authority and the government,” Marzouk said. 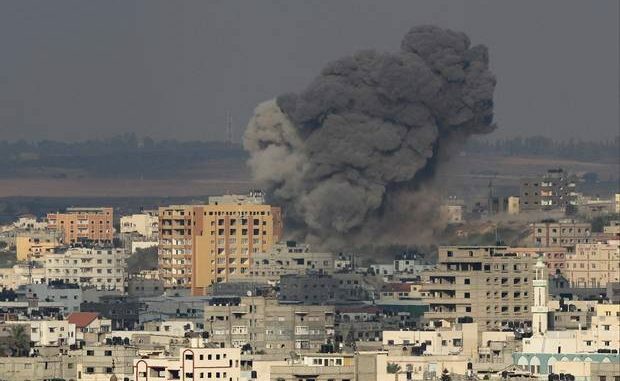 After the two-month long Israeli offensive in Gaza that killed more than 2,100 Palestinians and 72 Israelis, Israel and Hamas reached a cease-fire agreement at the end of August. The agreement allowed for an easing of the blockade on the Gaza Strip, but there were still restrictions on certain construction material that Israel feared could be used to make weapons. Palestinian Deputy Prime Minister Mohammad Mustafa and the U.N. called for $550 million in humanitarian aid from international donors, in a joint statement released earlier this week. Aid will be used to support those in Gaza who have been injured or displaced or who’ve lost their livelihood and would be divided between food assistance, health care, water, education and psychological support. More than 200,000 Gazans are still displaced two weeks after the conflict, and more than 108,000 people are likely to remain homeless. At least 44,300 housing units were affected by clashes, and at least 18,000 are currently uninhabitable, according to the U.N.’s initial assessment.